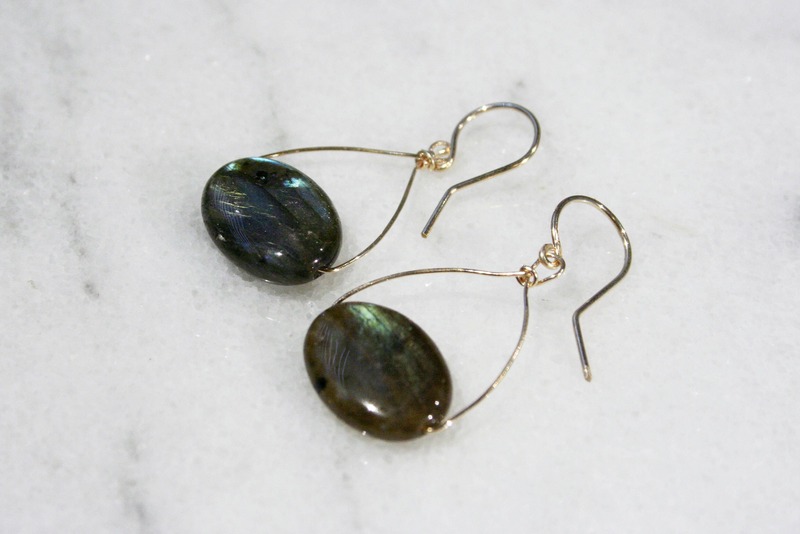 A stunning labradorite stone rests at the bottom of these wire earrings. 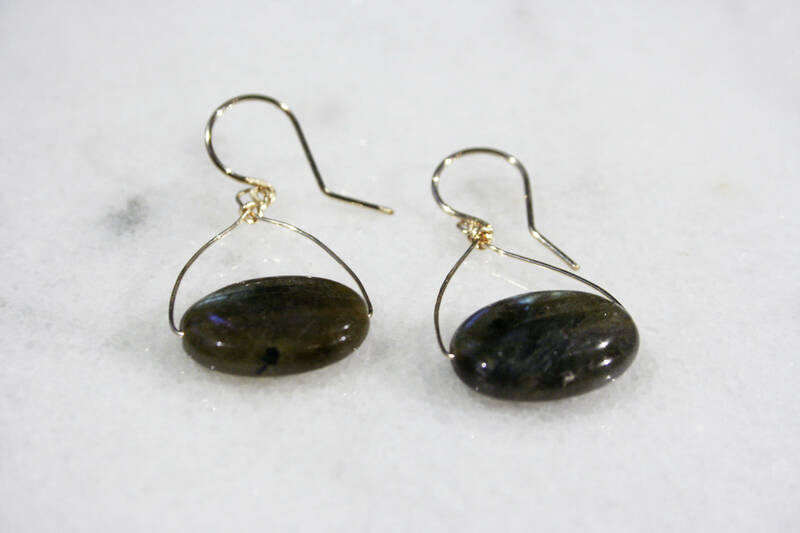 Wire is run through the stone and wrapped above in a rounded triangle shape. A hand-formed and hammered ear wire is shaped out of coordinating metal (either sterling silver, 14k gold filled or 14k rose gold filled). 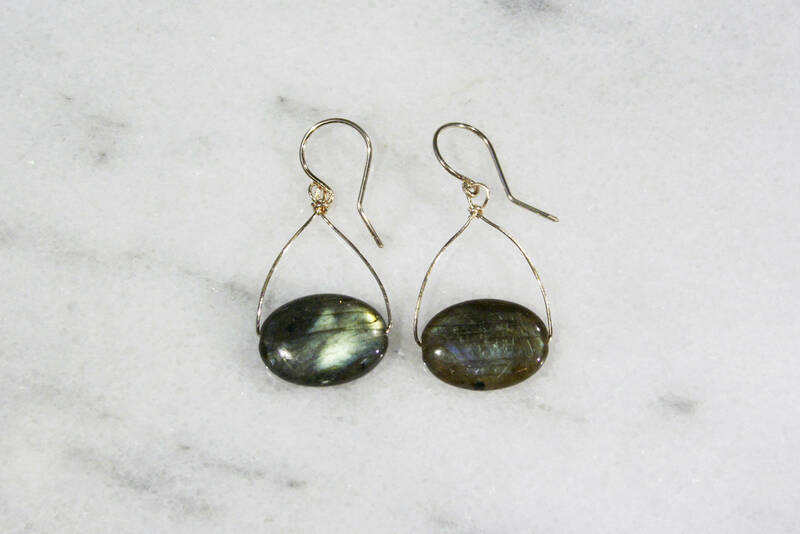 Each labradorite is handpicked to ensure each piece has a magical flash of color. 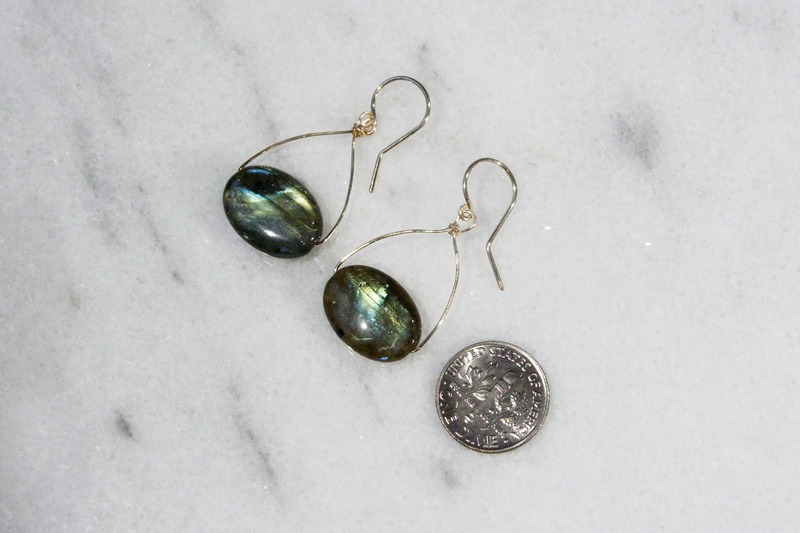 When held in the sunlight, this labradorite has a subtle but bright flashes of blue, green and gold that appear. The length of each pair is approximately 1.5” with a width of .75”. 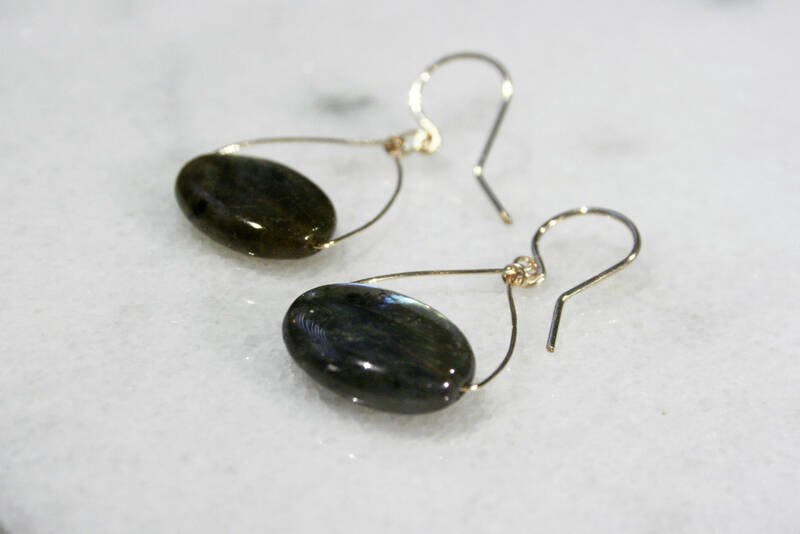 Labradorite encourages self-discovery. 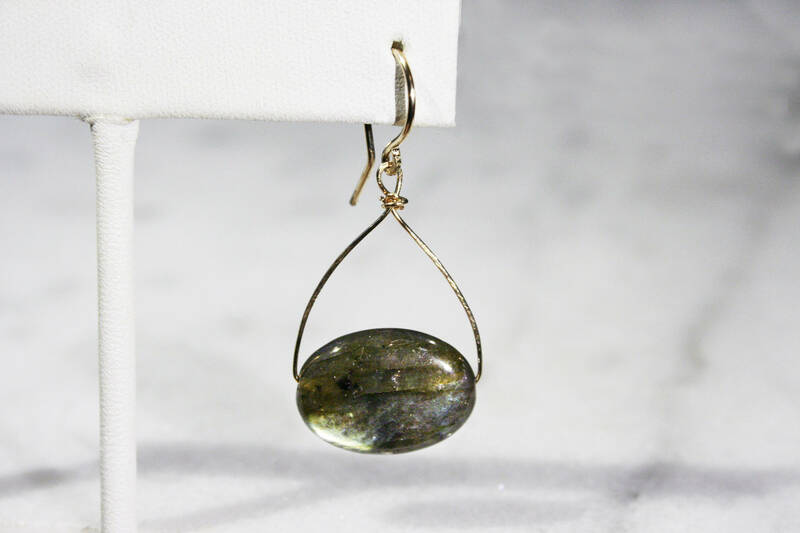 It’s believed to be a stone of intuition, protection, and consciousness. Wear this beautiful necklace as you venture through life, aware of what beauty surrounds you. Each earring set is packaged in a white box, perfect for gifting! Only 14k gold and rose gold filled wire are used for the gold options. With reasonable care 14k gold filled materials will not peel or flake, and should last as long as solid 14k gold jewelry. It is safe for most people with sensitive skin.